The vampires in The Twilight Saga all have fantastic acrobatic powers. We watch them leap over tall trees in a single bound and speed through the air as if in flight. Victoria proves to be very agile while she’s driven by her lust for revenge. the movie, but capturing that sense of movement on film is very tricky judging by this shot here. The whole image brings the process of movie making down to earth in some way. 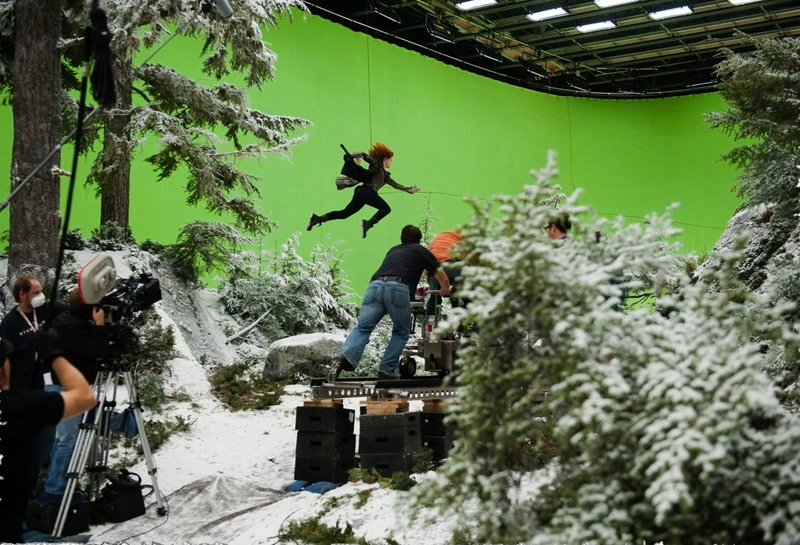 The forest is surrounded by a green screen curtain on a sound stage. Bryce Dallas Howard seems to be suspended by at least one wire and there are multiple camera crews on various rigs capturing the shot from every angle.